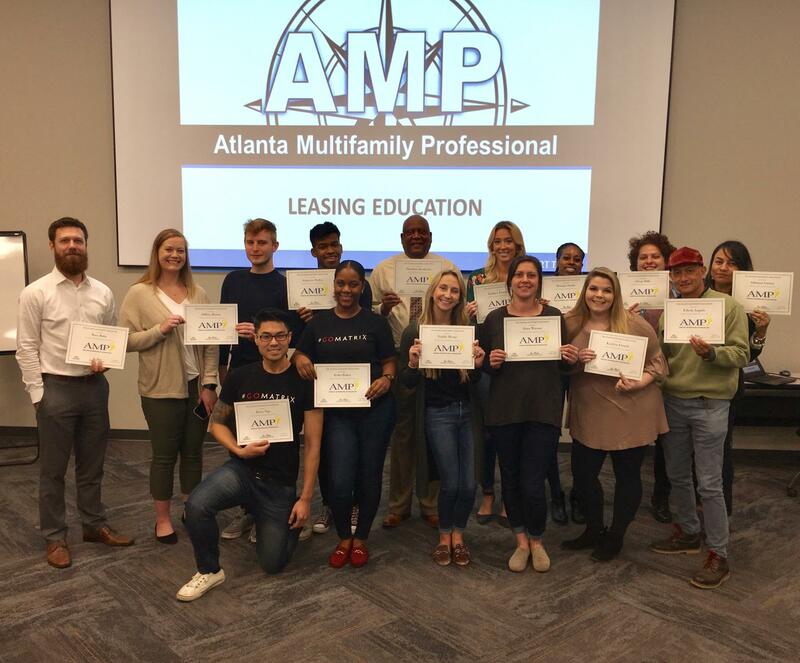 The AMP program is a comprehensive workshop designed specifically for leasing professionals working in the industry for six months or less, as well as individuals wanting a career in the multifamily industry. This three-day course includes classroom instruction, onsite property tour demonstrations, plus online training as homework. During this session, attendees will receive an introduction to the overall AMP Leasing Program. Basics leasing skillset, and a day in the life of a Leasing Associate. The leasing process from initial inquiry through the prospect interview. Students will learn about the physical aspect of the tour. Discuss proper tour etiquette, overcoming objections, closing and follow up strategies. At the end of the classroom portion of session two, attendees will go on a "Field Trip" to a nearby apartment community to actively participate in mock leasing demonstrations. For this final session. students will be given a written assessment to determine how much information they have retained as well as pin pint key areas to review. While assessments are being scored, industry professionals will present brief overviews of various topics such as Fair Housing, emergency procedures, service requests, rental policies, and lease agreements. The goal of this program is to give students real-world simulations to prepare them for daily interactions with prospects and residents. Register Today! This could be YOU!